Various people have got over-excited about whether yesterday’s vote in the House of Lords was unconstitutional. The Parliament Acts of 1911 and 1949 establish the privilege of the House of Commons to exercise control over financial matters in two ways. If the Commons passes a supply or money Bill which has been certified as such by the Speaker of the House of Commons, then the House of Lords cannot amend it, and can hold it up for only a month. Alternatively, if the House of Lords amends another Bill, the Commons can reject the amendment if the Speaker certifies that the Commons has financial privilege over that section of the Bill. But crucially, the financial privilege of the House of Commons applies only to primary legislation. Financial privilege does not apply to secondary legislation and never has. Because the Government brought forward its proposed change to tax credits using a Statutory Instrument (that is, secondary legislation), financial privilege does not apply. Parliament can accept or reject statutory instruments, but cannot amend them. It is possible (indeed, it seems likely) that this is precisely why the Chancellor of the Exchequer chose to use secondary legislation to amend tax credits: he didn’t want the Commons to have the opportunity to amend his proposals. The consequence of his decision to use secondary legislation, which protects his proposals from amendment in the Commons, is that it can constitutionally be rejected by the Lords. 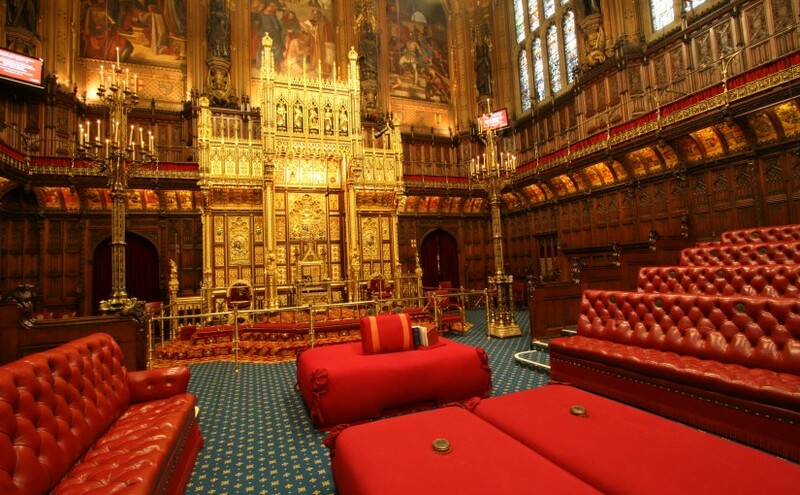 It has never been the case that the House of Lords is excluded from acting as a revising chamber for all policies with any financial implications – after all, almost all policies have financial implications of some sort. Such an interpretation of the role of the House of Lords would mean it had no role as a revising chamber in any aspect of the welfare state, from housing and the NHS, to benefits, local government and social services. It would also mean no role for the Lords in proposing revisions to policies on migration, defence, or the environment. If the Chancellor deemed this change in tax credits to be significant enough to affect the overall finances of the nation, he should have brought it forward as primary legislation, which would not have been subject to the possibility of being rejected by the Lords. But if it is sufficiently trivial that the Commons does not need to have a full debate on the proposals nor the possibility to amend them, then it is sufficiently trivial not to fall within the scope of the Commons’ financial privilege. So this measure falls within neither the spirit nor the letter of the rules on financial privilege. An alternative argument has been made that the unelected House of Lords should not reject policies which are the settled view of the elected House of Commons (that is, irrespective of whether financial privilege applies). This point of view is reflected in the Salisbury Convention. But it does not apply in this case for two reasons. First, the Salisbury Convention applies only to policies which were included in the government’s manifesto, which these changes to tax credits were not. Second, the Salisbury Convention also does not apply to secondary legislation. I am no fan of the House of Lords. I would like to see it replaced with an elected Senate. (Ideally I’d like to see functional rather than geographical constituencies: for example, Senators could be elected by teachers, nurses, steel-workers, home-makers, etc). If the government doesn’t like having an unelected chamber rejecting secondary legislation, then it should propose an elected chamber in its place. Until then, there is nothing unconstitutional about what the House of Lords did yesterday. If you could replace the HoL with an elected Senate (a good idea), I think it would be crazy to institutionalize representation by constituency as you suggest here. Just to take one example, presumably (and hopefully) coal miners will make up a smaller and smaller portion of the UK economy going into the future. But guaranteeing coal miners a continued block of representation in the Senate will give them an outsized say in policy relative to their shrinking role in the economy. The opposite problem occurs with “new” industries, which will become increasingly important but will be barred by the incumbent constituencies from having any role in government policy. Eric – I hesitated about whether I agreed with you about the inherent conservativism of functional constituencies; but I think I don’t. The trouble is that the same argument applies to any effective form of representation in a democracy. Places resist changes to places (planning laws, fracking etc); professions resist changes to professions. Should we say that we don’t want effective representation because all effective representation is inherently conservative? Thanks for the reply, Owen. I agree that geographic constituencies are also conservative in their own ways. But if we’re sufficiently into “pie in the sky” territory as to imagine we’re abolishing the House of Lords, why not imagine something more ambitious like a national senate with proportional representation? The consequence of his decision to use secondary legislation, which protects his proposals from amendment in the Commons, is that it can constitutionally be rejected by the Lords. Also the enabling act under which the regulations were made (s. 66 Tax Credits Act 2002) requires the Lords (and Commons) to approve the measure. It would have been possible to have required only approval by the Commons, but Parliament when passing the act decided to require approval by both houses. The Lords was therefore authorized specifically by an act of parliament to reject the drafty regulations. Re: functional constituencies. A key metric when evaluating the respective capacities of governing systems to create public goods is the narrowing and homogenisation of support for a political entrepreneur. As support is reduced and homogenised there is an increased incentive to provide rents rather than public goods. As support is widened and diversified the incentive leans towards the creation of public goods. The main reason is that diverse constituencies cannot be bought off with bribes, i.e. rents, since there are too many special interests to satisfy – hence the emphasis on public goods which benefit everyone. Geographic constituencies, drawn up properly tend to have diverse profiles and therefore public goods oriented. Next Next post: Is the UK putting its own interests ahead of the poor in its new aid strategy?